Heat the olive oil over medium heat and sauté the onion about 7 minutes until the edges start to brown. Add the garlic and sauté another couple minutes. 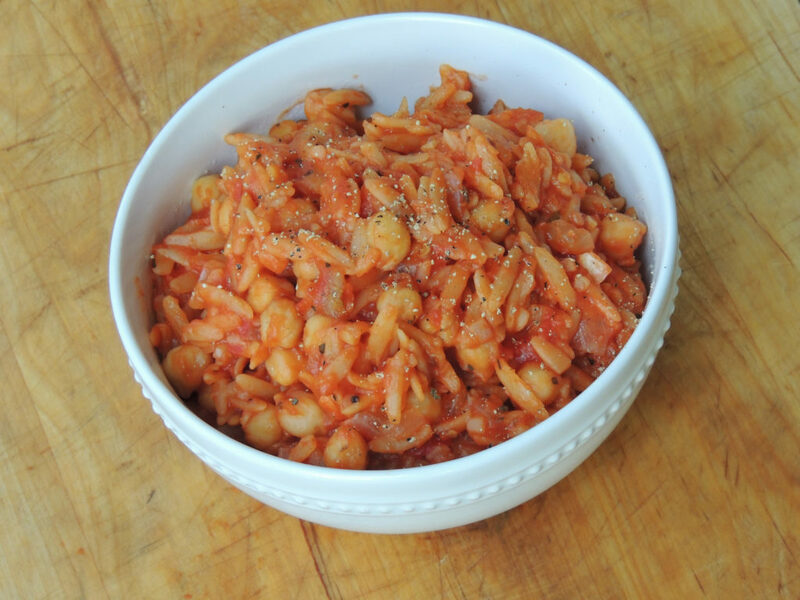 Stir in the tomato, pasta, herbs, broth, and season with salt and pepper. Stir frequently, scraping the bottom of the pot with a thin metal spatula to prevent the pasta from sticking. Cook until pasta is al dente, about 12-15 minutes. Stir in the chickpeas and cook until heated through, another minute or so. Taste and add more salt if needed. Serve sprinkled with Parmesan cheese.